In June 2015, the Peace Corps returned to Liberia through Peace Corps Response to help rebuild communities in the wake of the Ebola epidemic. Support for women and girls is especially important, as they were disproportionately affected by the crisis. 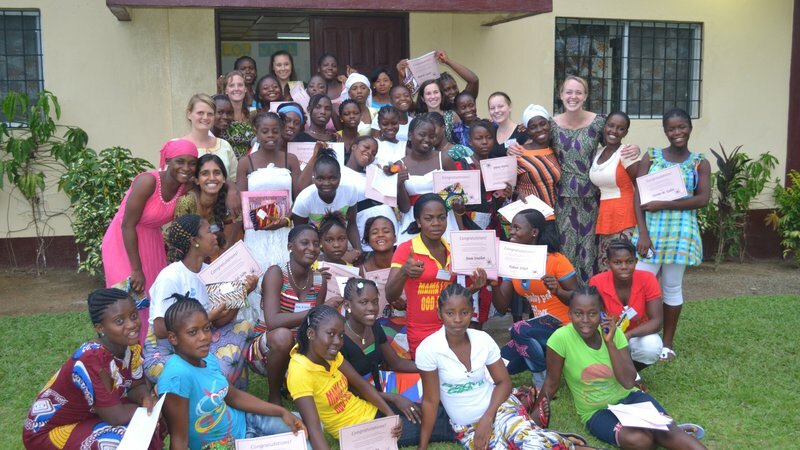 Peace Corps Liberia hosted its first Girls Leading Our World (GLOW) camp in 2014 just before the Ebola evacuation. This year's camp in May built on that foundation. The inspiration? A 21-year-old 10th grader named Ralphina. Ralphina spent most of her childhood in a refugee camp in Guinea, but the civil war that displaced her from her home has not stopped her from chasing her dreams. Outgoing, curious and an actively engaged member of her community, Ralphina is dedicated to becoming a nurse. 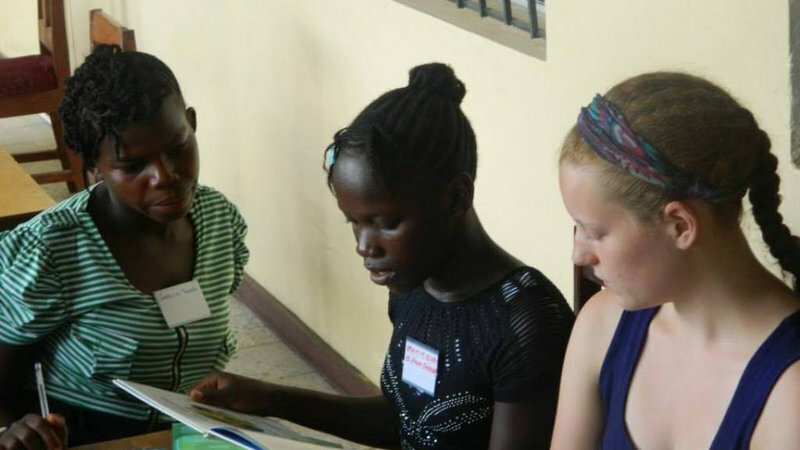 She seeks out the specialized science and math education from Maureen Loomis, a Peace Corps Volunteer in her area. 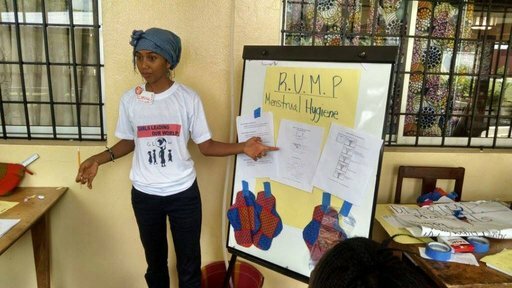 “A GLOW Camp can give Ralphina the tools to reach her goals and help her turn her innate leadership skills into something powerful both in and out of the classroom,” says Maureen Loomis, one of the Volunteers who planned and executed a six-day GLOW camp alongside Liberian colleagues. The camp was specifically designed with 16- to 25-year-old Liberian girls like Ralphina in mind. GLOW aims to build their self-esteem, confidence and leadership abilities while creating an environment where girls can speak freely about difficult topics affecting themselves, other girls and their communities overall. Other activities focused on leadership qualities, how girls can become leaders and how to set goals for the future. The highlight, says Allison, was a career panel of Liberian women who talked about their own journeys. One panelist, Yamah Kpadeh, acknowledged the hardships of women in Liberia ­- "To be a woman and to live under people, it's not easy, but I can be who I want to be” – while another, Yamah Zawu, emphasized persistence in reaching your goals: "You have to fight. You have to have courage. You have to be determined. You can't give up." Afterwards, camper Dorcas was emotional. "I shed tears. I saw that they went through the same thing that I am. I need to just stay focused and worked hard. I will get there." The girls were also able to ask questions about sexual health and sexually transmitted diseases. For Volunteer Maureen, a highlight was showing girls how to make reusable menstrual pads and guiding them through the importance of menstrual hygiene management. "It brought me to tears to find out that every 30 seconds a child dies from malaria,” one girl said. “I thought it was just a common thing. I am going to start talking about malaria all the time with my friends, at my school, and in my community." Ralphina and all the GLOW girls have been empowered to transform themselves, their communities, and their country. Peace Corps Liberia is thrilled to continue and grow programming for women and girls as part of the Peace Corps’ Let Girls Learn program. In March 2016 Liberia was announced as a Let Girls Learn target country. First Lady Michelle Obama and Peace Corps Director Carrie Hessler-Radelet are visiting Liberia to visit additional GLOW camps like the one described here.